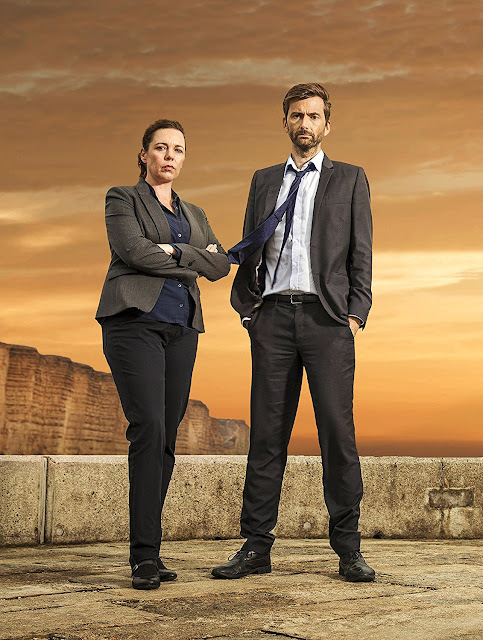 The third season of Broadchurch will premiere in Canada on Sunday 5th March on Showcase at 10.00pm ET/PT. Showcase made the announcement earlier today via their social media sites. 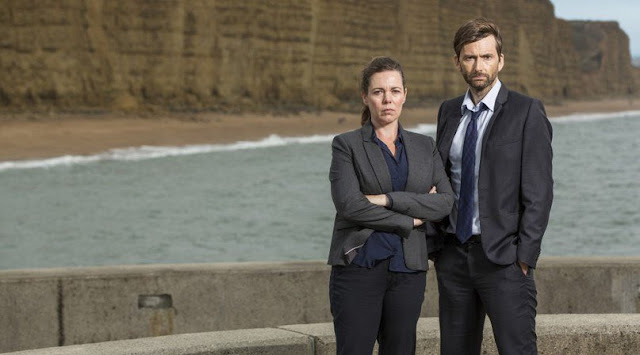 David Tennant and Olivia Colman return as Alec Hardy and Ellie Miller as the detectives reunite for the final time when they are called on to investigate a serious sexual assault. Jodie Whittaker, Arthur Darvill and Andrew Buchan are also returning and are joined by new faces inclding Lenny Henry, Julie Hesmondhalgh and Sarah Parish. Speaking at a launch event for the new series last night, David Tennant assured members of the press that fans would not be disappointed by the ending of the award winning drama. "You don't want to give anything away, but I think it strikes the perfect note," he said. The series is expected to premiere on ITV in the UK in Monday 27th February. 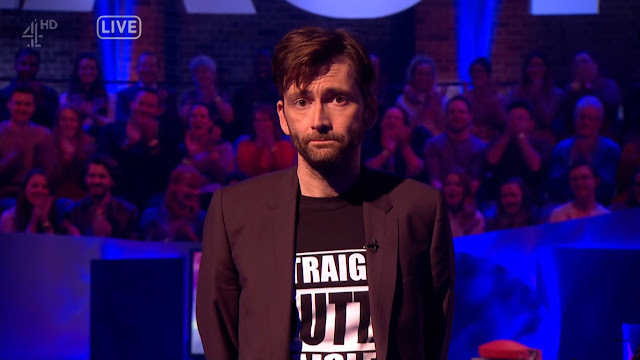 David Tennant will be the first guest on the new series of Adam Hills: The Last Leg, airing tonight on ABC. Australian host Adam Hills is joined by fellow comics Alex Brooker and Josh Widdicombe on the award-winning comedy show that isn't afraid to tackle the weird and wonderful news stories of the past seven days. The show was previously shown in the UK on Channel 4 on Friday 27th January. Adam Hills: The Last Leg Wednesday 1st February ABC, 10.10pm Adam Hills returns for a brand new season of The Last Leg, joining Alex Brooker, Josh Widdicombe and special guest David Tennant to pick over the big news of the week and answer your #IsItOk questions. The episode is repeated on ABC on Thursday 2nd February at 1pm and on Friday 3rd at 10.30pm. David Tennant says that fans will not be left disappointed by the third and final series of Broadchurch which is due to launch on ITV next month. Speaking at a launch event for the new series earlier this evening he said, "You don't want to give anything away, but I think [the ending] strikes the perfect note." He added, "Certainly in the case of my character and Olivia's character. It leaves them exactly where you’d expect them to be left. I had a myriad feelings about it." The new series sees the return of troubled detectives Alec Hardy and Ellie Miller, reunited to investigate a serious sexual assault experienced by Trish Winterman, played by Julie Hesmondhalgh. Tonight's event was attended by David and Julie alongside series creator and new Doctor Who showrunner Chris Chibnall and producer Jane Featherstone. 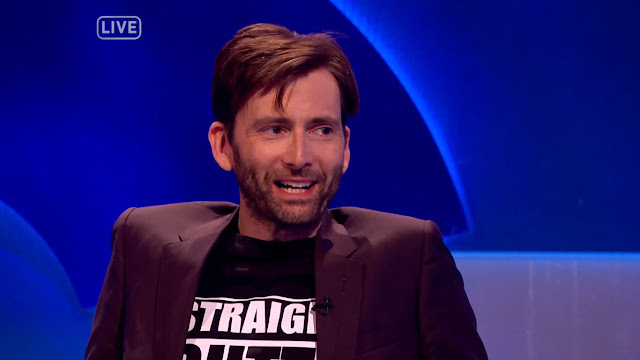 Channel 4 have released another clip from Friday night's edition of the satirical comedy show The Last Leg, guest starring David Tennant. 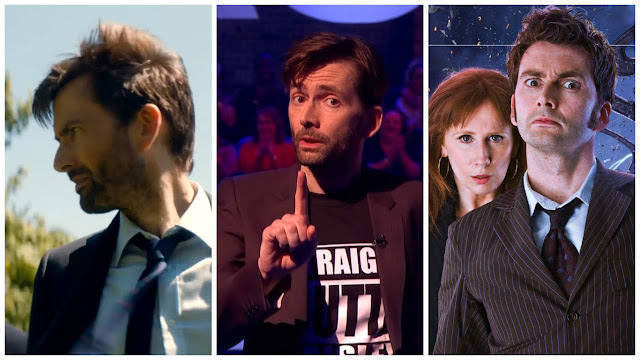 In the clip, host Adam Hills launches a discussion about the best villainous accents, and David freaks out Adam and his co-hosts Josh Widdecombe and Alex Brooker with a little taste of Marvel's Jessica Jones supervillain Kilgrave. David also discusses his upcoming role as Scrooge McDuck in Disney's All New Duck Tales. Viewers in Australia can see the show tomorrow night (Wednesday 31st January) at 10.10pm on ABC. Disney's Duck Tales is due to premiere in the summer. 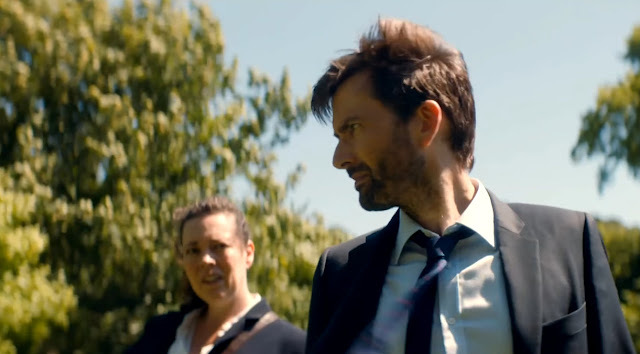 The long awaited trailer for the third series of Broadchurch aired tonight and gave a first look at the cast of characters whose fortunes fans will be following as the mystery unfolds. David Tennant and Olivia Colman are back as DI Alec Hardy and DS Ellie Miller, the mismatched detectives reunited to investigate a serious sexual assault. The trailer opens with Ellie's first meeting with Trish (Julie Hesmondalgh), who has called police following an attack. The trailer also reveals returning cast members Arthur Darville (Paul Coates), Jodie Whittaker and Andrew Buchan (Beth and Mark Latimer) and Adam Wilson (Tom Miller). Also present are Sir Lenny Henry, who plays Ed Burnett, the owner of a local farm shop, Sarah Parish as Trish's best friend Cath Atwood, Mark Bazeley as her husband Jim and Georgina Campbell as new DC Katie Harford who will team up with Hardy and Miller to work on the case. 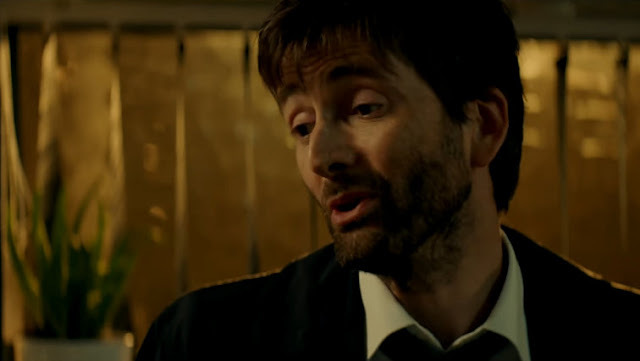 ITV have released the first trailer for the new series of their award-winning crime series Broadchurch. 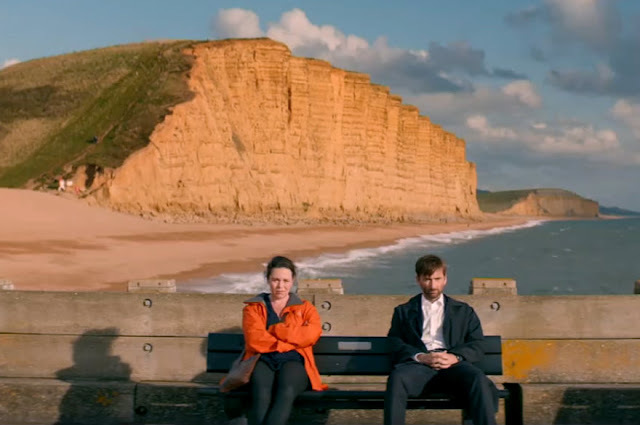 David Tennant and Olivia Colman reprise their roles as DI Alec Hardy and DS Ellie Miller for the third and final series of Broadchurch. The new series heralds a brand new case for Miller and Hardy, with the detectives reuniting to investigate a serious sexual assault. The drama is expected to return to ITV in late February. The trailer also shows returning cast members Jodie Whittaker, Andrew Buchan, Arthur Darvill and Jonathan Bailey and introduces new characters played by Julie Hesmondhalgh, Sir Lenny Henry, Georgina Campbell, Sarah Parish and Mark Bazeley, among others. 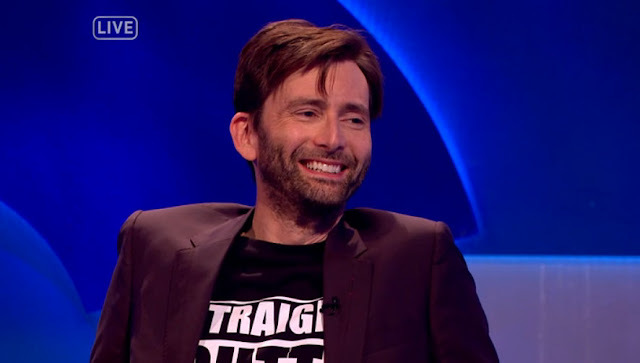 David Tennant was the first guest of the brand new series of The Last Leg as it returned to its regular Friday night slot last night. The satirical Channel 4 show, hosted by Adam Hills, Josh Widdicombe and Alex Brooker, takes an alternative look at the biggest events of the previous week and has a reputation for exposing the foibles of those in power and for fearlessly tackling social injustice. The show's official YouTube account has since uploaded four clips of highlights from last night. The highly acclaimed wildlife documentary series Spy In The Wild draws to a close next week with two episodes across Thursday and Friday. 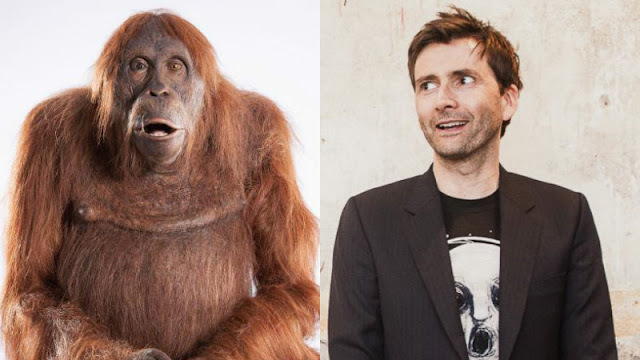 David Tennant narrates dramatic footage obtained through the deployment of over 30 intricately constructed spy creatures, placed in the heart of wildlife communities worldwide by award-winning programme makers John Downer Productions. The episodes explore Love, Friendship, Intelligence and Mischief, demonstrated through up close and personal sequences of animals and birds interacting with each other and, surprisingly, with the spy creatures themselves! There's a month to go before the award winning crime drama Broadchurch is expected to return to UK TV screens, but the series is available to order already via Amazon UK. 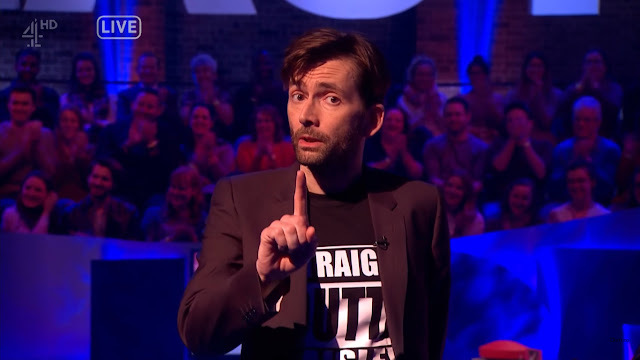 Channel 4 have tweeted a short clip of David Tennant's inspirational closing speech from tonight's episode of The Last Leg. An ailing David joined hosts Adam Hills, Josh Widdicombe and Alex Brooker as the award-winning topical comedy programme returned for its tenth series earlier tonight. The show is repeated on Channel 4 at 1.05am tomorrow night and on Sunsay night at 12.05am on 4Seven and will be added to Channel 4's catch up service shortly. Viewers in Australia will be able to watch the episode on ABC on Wednesday 1st February at 10.10pm.